We will watch the video of the 2017 GA opening worship ceremony followed by group discussion moderated by Susan Hegel. This powerful, communal worship experience will be led by Rev. Mara Dowdall. She is Senior Minister of the First UU Society of Burlington, Vermont. 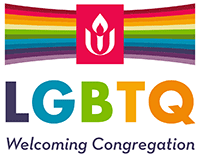 Previously, she served congregations in Montpelier, Vermont and the Boston area, and spent a year as the UUA’s Interim Youth Ministry Director. A Philadelphia native, life-long Unitarian Universalist, and graduate of Harvard Divinity School, Mara worked in national politics before her call to ministry.